Tacoma Fire Chief Jim Duggan has announced his retirement effective April 16, 2019. 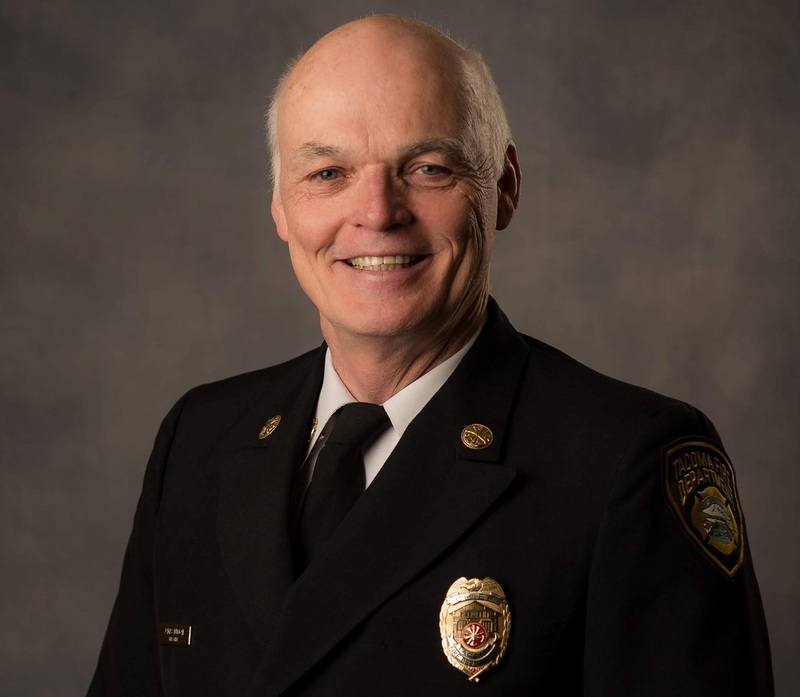 Chief Duggan was appointed Fire Chief in 2012 and has served 36 years with the department. Under Chief Duggan’s command, the Tacoma Fire Department navigated difficult staffing and deployment reductions as a result of the great recession, he oversaw a significant effort to increase the diversity of the organization and developed several initiatives to reduce the non-emergent use of 911. Deputy Chief Tory Green has been introduced for consideration and confirmation as Tacoma’s next Fire Chief. 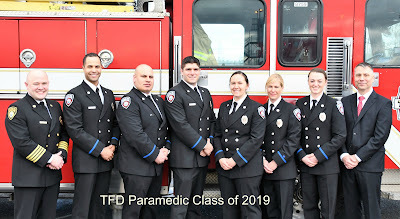 Tacoma Fire Department Graduates Six Firefighter/Paramedics. Six Tacoma firefighters graduated from our nationally accredited paramedic training program in a special ceremony this afternoon. Over the course of the program, each student worked their way through more than 2,000 pages of assigned reading, answering thousands of test questions on the material. The hands-on portion of the curriculum involved over 1,500 clinical hours in the field and hospital settings demonstrating competency in a variety of emergency medical techniques. Class valedictorian Janell Murry is the recipient of the Dr. James G. Billingsley Award for Academic Excellence. The Bud Lucas Leadership Award was presented to Josh Haia for his consistent demonstration of teamwork as voted on by his peers. 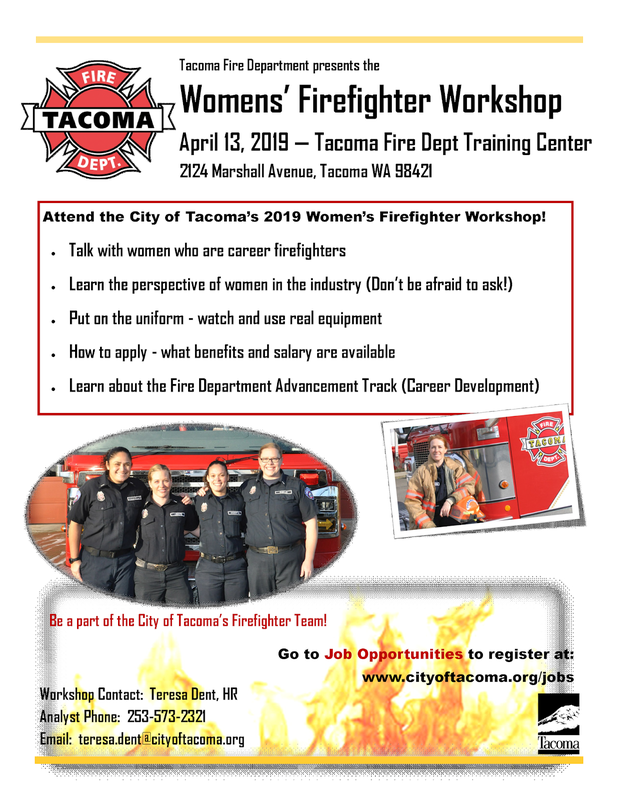 A Women’s Firefighter Workshop is being held on April 13, 2019, at the Tacoma Fire Department Training Center. The workshop is free, but registration is limited to the first 50 who sign-up. Check out the attached flyer for more details.